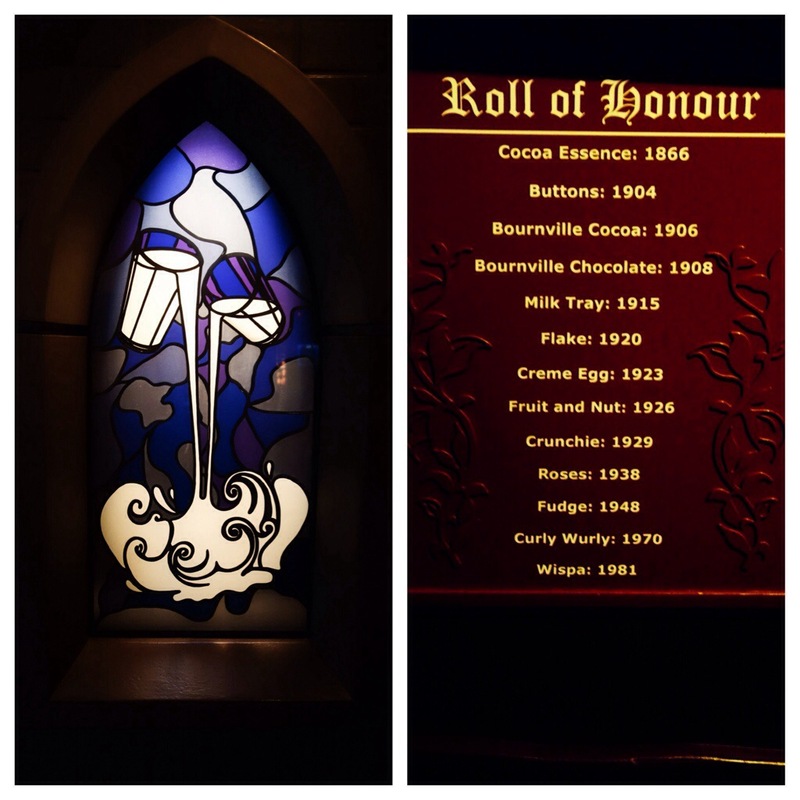 Chocolate Wasted at Cadbury World – Where Did Mary Go? Growing up on Pleasant Street in wee little West Winfield NY, many of my childhood weekends were spent watching Willy Wonka and the Chocolate Factory at the neighbors, the Danovitz’s, along with my sister and a large bowl of homemade popcorn. I have watched that movie as a child and adult no less than one hundred times. And never get sick of it. I love chocolate, Gene Wilder, and so that movie is everything. Last Tuesday evening I was trolling the Twitterverse and happened to see a tweet about Cadbury World. WHAT?! Such thing exists? Perhaps you’ve heard of Cadbury creme eggs?? Or Cadbury dairy milk buttons? Well this World of Cadbury does exist, and without hesitation I quickly sprung to action to plan a visit there. 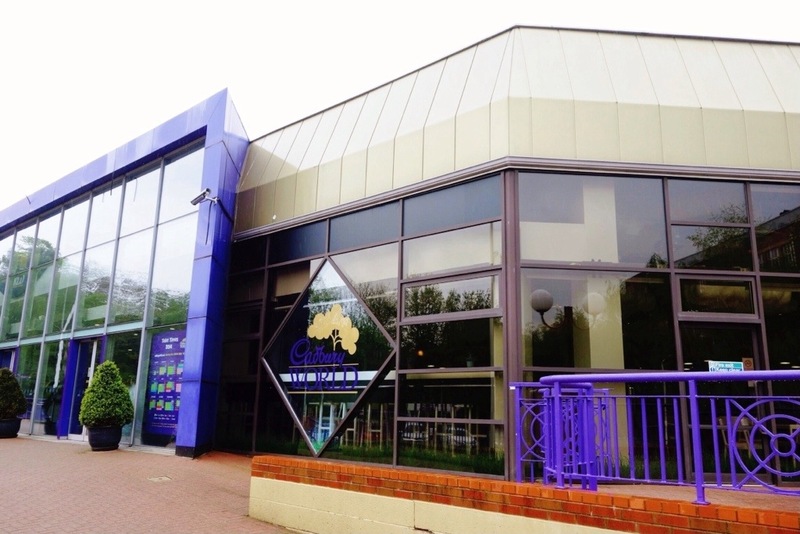 Browsing the website, I learned CW is located on the outskirts of Birmingham, and on most Thursdays throughout the year, they have a 2 for 1 admission deal called Purple Thursdays, so long as you book in advance. I glanced at the calendar and confirmed I only had two full and one partial Thursdays left in the UK. The following Thursday, Andrew’s brother and wife would be moving into their new home so we’d be helping with the move and/or watching the kids. The Thursday after that, I would be at Heathrow Airport boarding my plane back to the states. 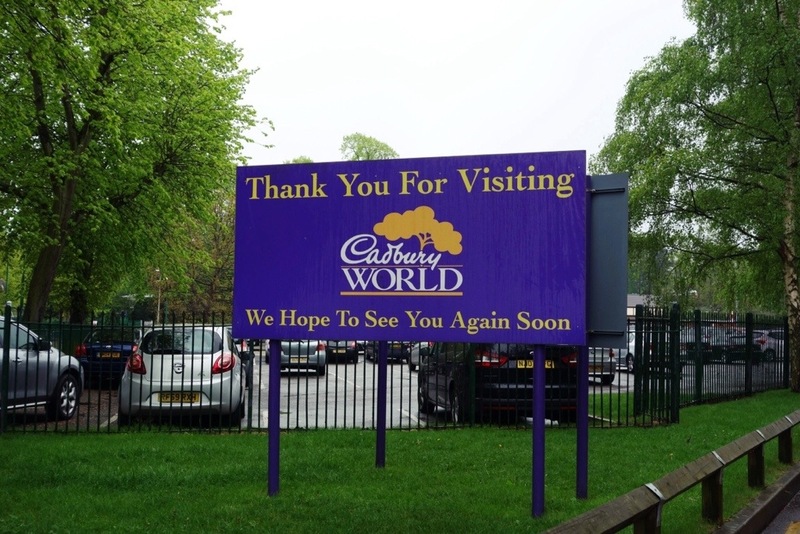 It would have to be that week; two days from when I learned of the existence of Cadbury World. I am always up for a deal, but would they have any available spots left on such short notice? I phoned up the kind people of CW reservations Wednesday morning, and they informed me they had a 1:10pm opening for the following day. YES! Sign me up for 2 adults please! 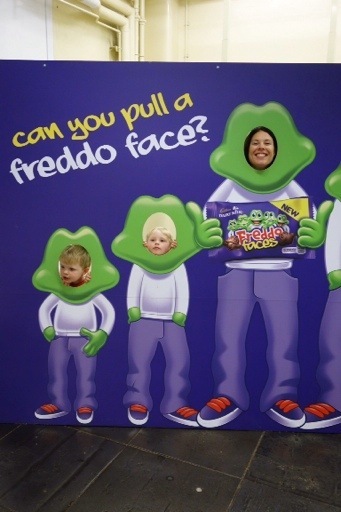 As Wednesday went along, I couldn’t stop thinking about Cadbury World. Even though Gene Wilder would not be present to keep anyone from falling in a chocolate river, I still thought visiting a chocolate factory is a dream come true. Then, all of a sudden, a pang of guilt came over me. 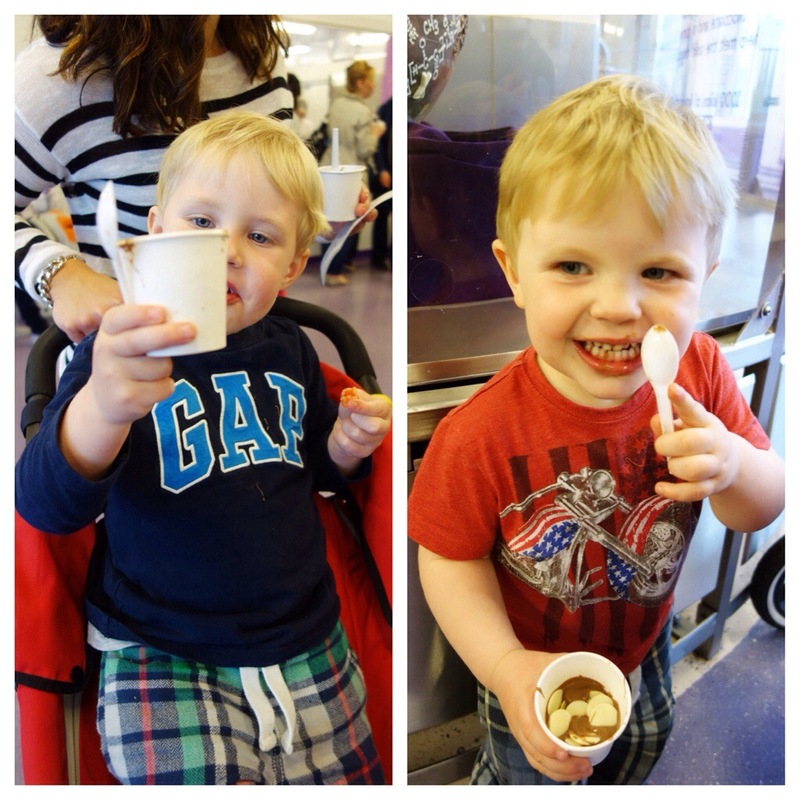 Thursdays were usually our day to spend time doing fun activities with the nephews. I thought of my sister-in-law, probably in a panic trying to pack up their house for the impending move. And here I am jaunting off to Birmingham to eat my weight in chocolate. Hmm. Would she let us bring the boys with us? When I suggested this idea to Andrew, he looked at me like I was utterly out of my mind. What do you mean bring two toddlers to a chocolate factory?! Well, once I said it out loud, there was no changing my mind. 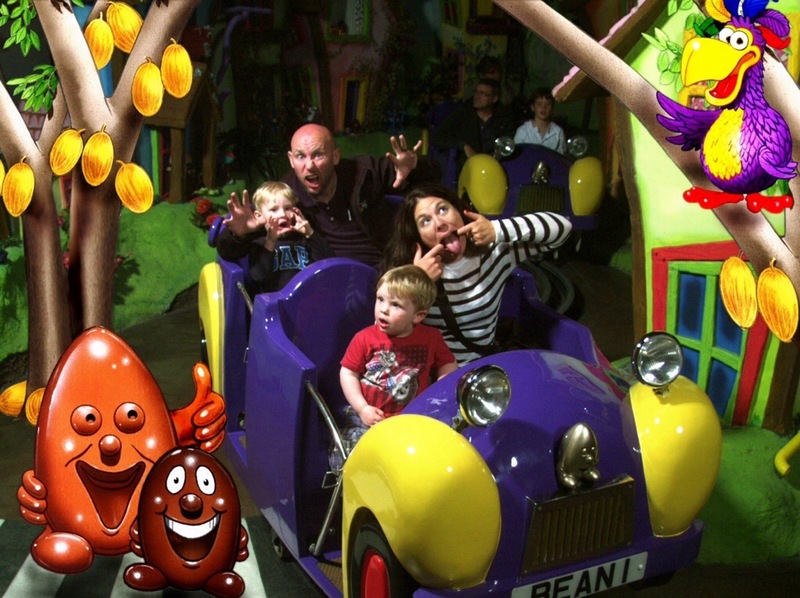 So long as the parents were ok with it, we would be taking a road trip to Cadbury World with two boys, ages 2 and almost 4. Needless to say, sister-in-law Emma thought it would be a great idea and told me the boys would love it. Andrew & I packed up the car with a stroller ((called a pram or push-chair in the UK)), lunches, books, and Thomas’ only choice of music for the 2.5 hour journey each way – a Bruce Springsteen greatest hits cd. On the verge of turning 4 and he already knows good music. The boys were so good for such a long car ride. 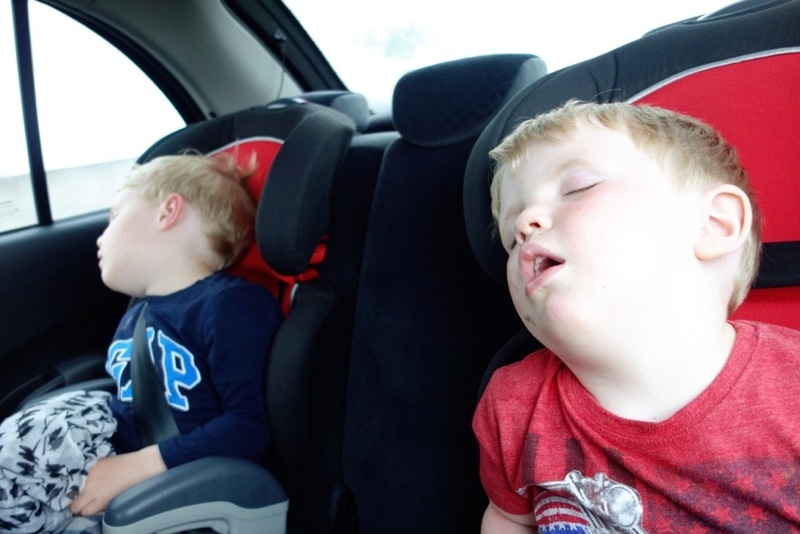 We only needed to pull over once along the motorway – to grab the books out of the back of the car and ok maybe also to turn on the child locks on each back door after one was slightly opened while the car was in motion ((shhhhh don’t tell the parents!)). We arrived at Cadbury World after just a few “are we nearly there?” questions from the back seat contingent. The four of us ate our lunches at a table in the cafe and excitedly awaited our entry to the exhibition. 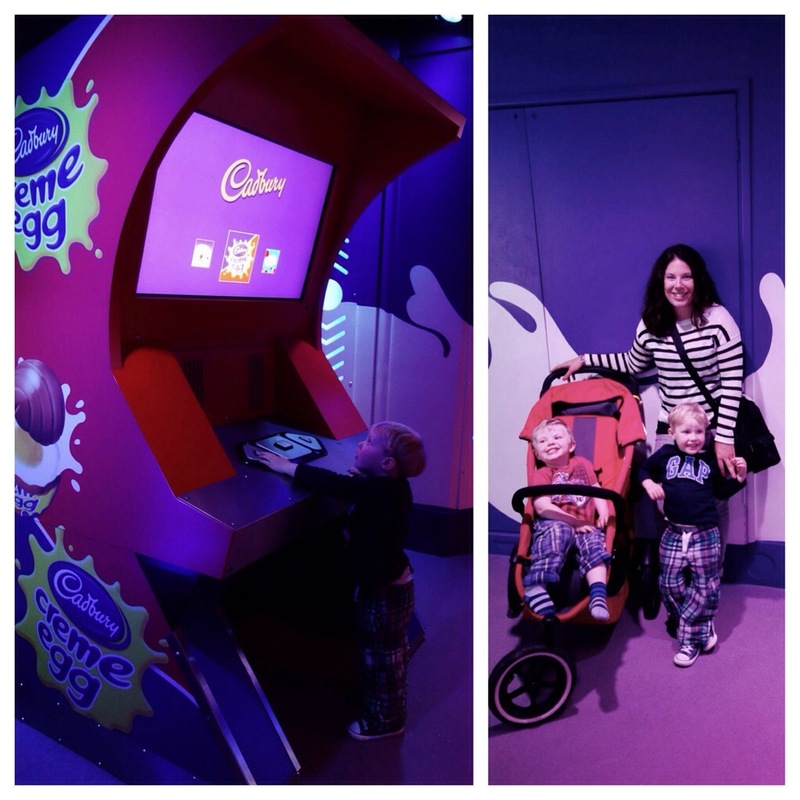 When you enter the Cadbury World exhibition, you weave your way through a total of thirteen different areas, each telling a piece of the Cadbury story. Such as how it started out as a tea shop before cocoa was brought to Britain. How the chocolate factory and surrounding buildings, housing employees, a school and hospital, was like a village unto itself. Also you learn about how well the factory employees were treated, given benefits and paid especially well for that time. – One of the very first things I noticed was how pleasant the employees at CW were. Incredibly kind and friendly to us, they clearly love their jobs. Every single one of them, from the ladies taking our photograph against the green screen, to the gentleman welcoming us to the packaging area, seemed genuinely glad to have us as their guests. – You may see and peruse each part of the exhibit at your own pace. – Tasting the warm liquid chocolate with your choice of treat ((I chose rice crispy balls)) in the Chocolate Making Zone. 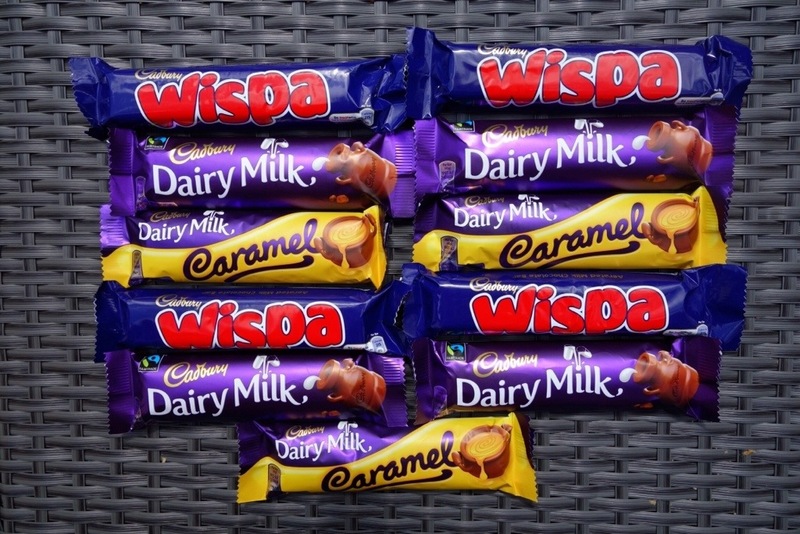 – Coming home with TWELVE full size candy bars and FOUR small bags of dairy milk buttons, given to us throughout the tour. It is a ridiculous amount of chocolate even for a chocoholic, yes, but nonetheless an appreciated perk of visiting CW. – Riding Cadabra not once, but two times! Cadabra is Cadbury World’s version of Disney”s Its a Small World. You sit in a car which drives along a track, while animated chocolate eggs sing, dance and feature in all sorts of difference scenes. 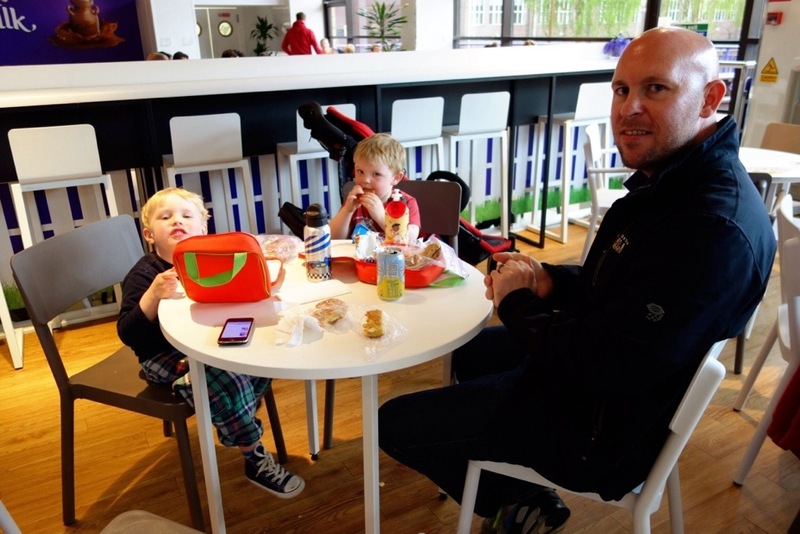 – Both boys were allowed free admission since they are under 4. 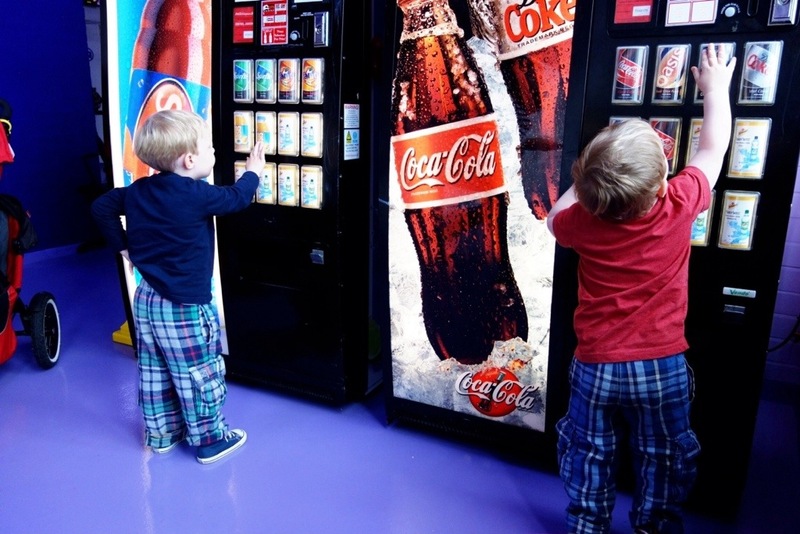 With so many places making you pay for children older than 2 and this being such a kid-friendly establishment, it was a pleasant surprise to see children under 4 could enter for free! 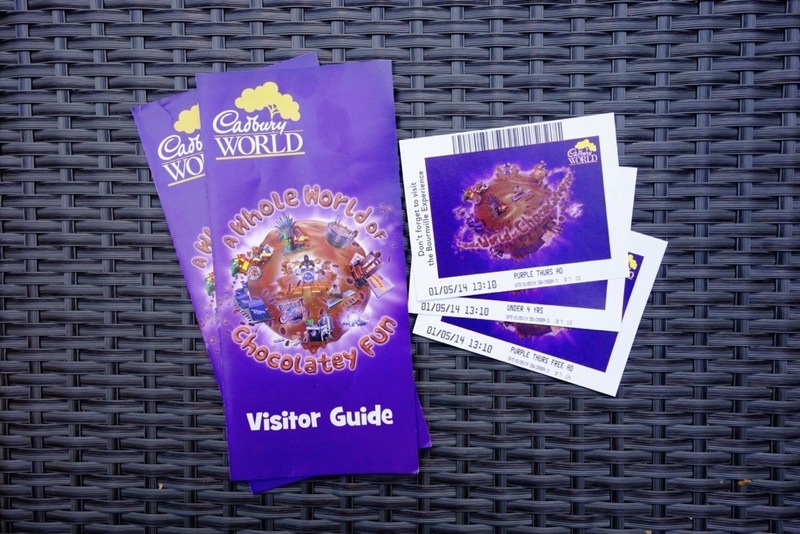 – Although it is spelled out in the brochure that Cadbury World is not a tour of the factory and they cannot guarantee everything will be operational during your visit, I still wish we could have seen actual production of the chocolate or chocolate bars. We did get to see demos of chocolate popsicles being made in moulds, and in one of the Packaging rooms, you could watch videos of Cream Eggs, dairy milk buttons, and Roses going through the machines into their respective packaging. I was told via Twitter, that they are working on creating a new section that should appeal to this desire to see the operational factory, so perhaps that will be a great addition to the exhibit. – I wish the weather had been pleasant so the boys could enjoy the outdoor African Adventure play area, and we all could have wandered through the rest of the Cadbury site & Garden Village of Bourneville where the employees lived, worked, and raised their families. With the temperamental weather in the UK, I am surprised the Adventure play area was not contained in a covered area enabling it to be utilized during rainy days. Most my friends and family know how much I love being an aunt to nine sweet children. Spending so much time with all of them during different times over the last nine months has made my heart swell with love. Such a special day with Thomas and Harry on their own at Cadbury World was a definite highlight. They were so well behaved the entire time, and I hope they will remember their Cadbury World outing with Uncle Andrew and Auntie Mary for the rest of their lives. 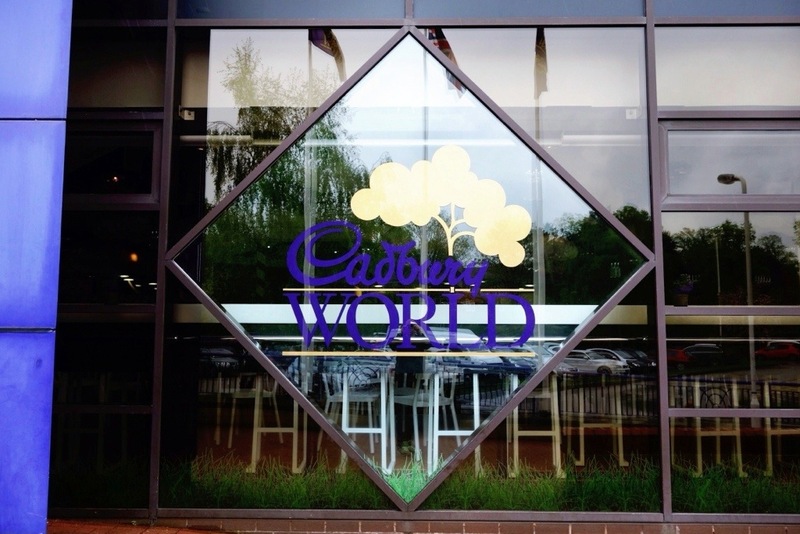 If you are planning a visit to Cadbury World, book in advance to take advantage of deals such as Purple Thursday. Full price adult admission is £15.95 ((or approximately $27)), and children ages 4 – 15 can enter for £11.70 each. As mentioned, under 4s go free! Make sure to allow yourselves a couple of hours to enjoy all CW has to offer. Go with children if it is an option. Seeing each bit through they eyes of children makes it all the more enjoyable and special! This entry amazed me, as I know how much you love Willy Wonka! don’t forget, the character, Charlie is actually a VET, in Upstate NY, and you’ll have to feign a animal issue to meet him in person. Love the pic of the boys, they are just soo cute! Xoxox see you very soon! reading it, you are a great author. I will remember to bookmark your blog and may come back at some point.